There is also a kind-of secret power users menu in the Consumer Preview. 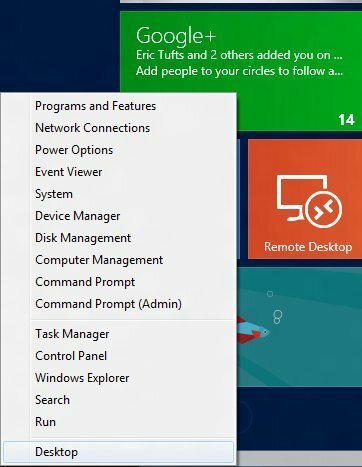 Right-click in the bottom left corner and you get a menu offering everything popular admin tools like Programs and Features and Network Connects, the Command Prompt, Task Manager, Explorer, the Run menu, and the Desktop. This is useful but odd, and it would not be surprising if it disappears from the final release.